A great range of fully equipped mobile homes available to rent in 4 star holiday parks in the south west of France (Charente Maritime region). 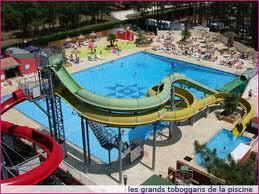 We are located one hour south of La Rochelle and under two hours north of Bordeaux. The mobile homes are all privately owned and can be viewed individually on the website with a selection of photographs, description and price of each one. Our goal is to provide you with the best choice of holiday accommodation on your chosen 4 star holiday park to ensure that you and your family have a great holiday experience. Cycle tracks are the favourite means of transport for holiday makers with cycle tracks stretching over 40km long from Saint Palais sur Mer to La Tremblade along the seashore and through beautiful pine forests. A beautiful golden sandy beach with the "Pont du Diable" rocks located outside the picturesque village of Saint Palais sur Mer. The beach leads onto beautiful coastline pathways for leisurely walks all along to the Grand Côte. 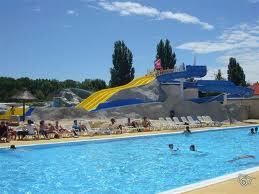 Les Charmettes is a 4 star flagship park owned and run by Siblu, and is one of Siblus largest holiday parks in France. Situated on the outskirts of the small village of Les Mathes, the park is just 4 kilometers from the beaches at La Palmyre. Bonne Anse Plage is a lively 4 star Siblu holiday park set in the heart of a pine forest with a spectacular view of the bay of Bonne Anse. The park has direct access to the cycle tracks leading all along the coastline through pine forests and also within a short cycling distance to the seaside resort of La Palmyre. After spending two fabulous summer holidays in La Palmyre, Aine and her family took the plunge and moved from Ireland to settle on the stunning coastline of Charente Maritime. That was 8 years ago and they have never looked back! 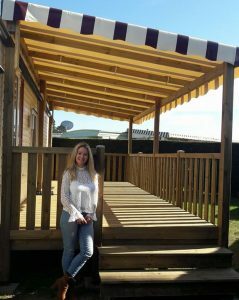 In 2012, Aine set up “Holiday in South West France” to rent mobile homes on 4 star Siblu holiday parks and has been attracting families to the area ever since. She works carefully with many owners on the various parks to ensure that the mobile homes are of a standard quality for the rental season. With her many years of customer care experience, Aine will ensure that your holiday goes smoothly and your family will want to come back year after year.